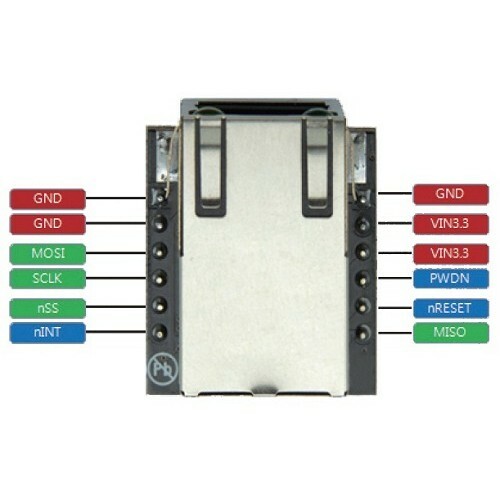 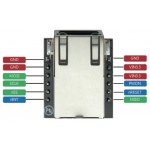 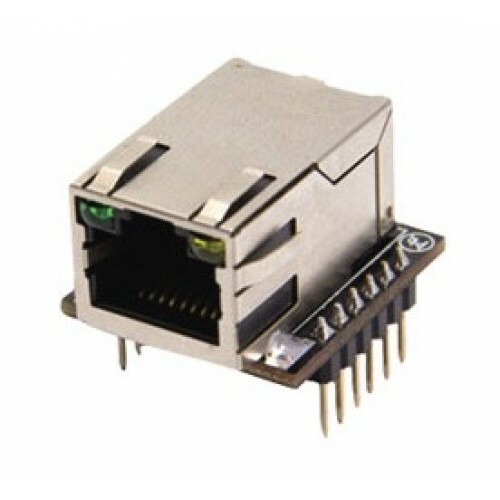 WIZ820IO is a plug-in internet network module that includes WIZnet’s popular W5200 (TCP/IP hardwired chip + PHY), a mag-jack (RJ45 with transformer) and other peripheral logic. Housed in a very small form factor (23mm x 25mm) with two rows of 0.1”-spaced pins, WIZ820IO can be used as a ready-made component Internet-enabling a product or board, and is an ideal soluion for users who want to develop networked systems rapidly. 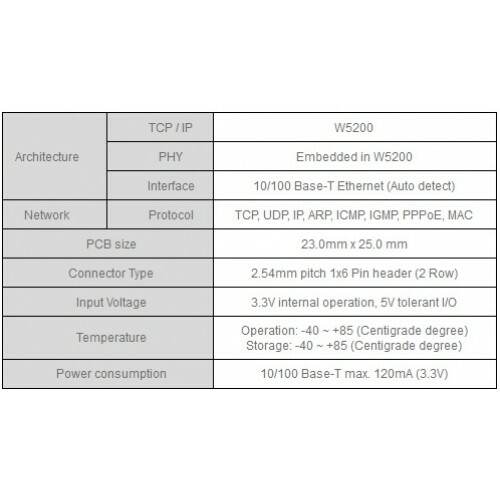 WIZ820IO contains WIZnet’s hardwired Ethernet stack IC W5200, which supports 8 independent sockets simultaneously, and features a high-speed SPI interface, power-down mode, and Wake-On-LAN function. 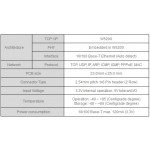 WIZ820IO handles TCP, UDP, IP, ARP, ICMP, IGMP, PPPoE, and MAC protocols. 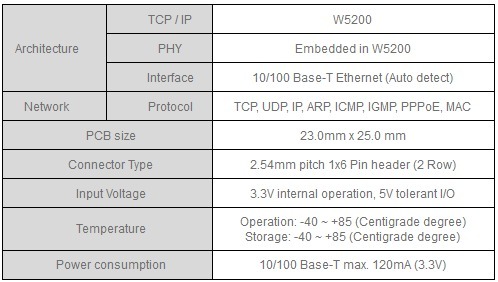 WIZ820IO operates on 3.3V/120mA but is 5V tolerant, at temperatures from -40 ~ +85deg C. WIZ820io supports half / full duplex operation, auto-negotiation and auto cross-over detection.